If you head to the Sims 3 site, you can earn free SimPoints just by watching sponsored commercials. If you have an ad-blocker on, turn it off or allow www.sims3.com in your options. A blue box will appear above "Make Me an Offer" on the lefthand sidebar, which says, "Get Bonus SimPoints!". Click this and watch the short commercial for five SimPoints. Most of the spots are 30 seconds or less. The only other way to get SimPoints is to purchase them at $10.00 per 1000 SimPoints. SimPoints can be used to purchase expansion packs, accessory packages, new worlds, and more - right from the site. Note that game purchases from the site are only applicable for the Origin gaming platform; they will not install on Steam. Sims 3 gaming packs cannot be purchased with SimPoints. 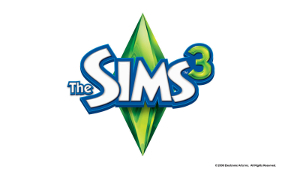 Other components bought with SimPoints from The Sims 3 Store, including worlds and expansion packs, install on both gaming platforms. Also note that the option to watch commercials for free SimPoints does not appear on every page. The commercials sometimes have trouble loading. After waiting for a few seconds, you may need to refresh the page and click the button again. This occasionally happens after a commercial has played, robbing you of your SimPoints despite having sat through the ad. I have noticed that they sometimes credit you those lost points if you logout and log back in. Be sure to check the Daily Deals. They change every two hours, and sometimes offer deep discounts on Big Ticket Items. Some Sims 3 expansion packs include free SimPoints. * This is not a sponsored post, I just play Sims 3 a lot.